The Dirtblaster® uses patented technology to increase the effective pressure by up to 50%. 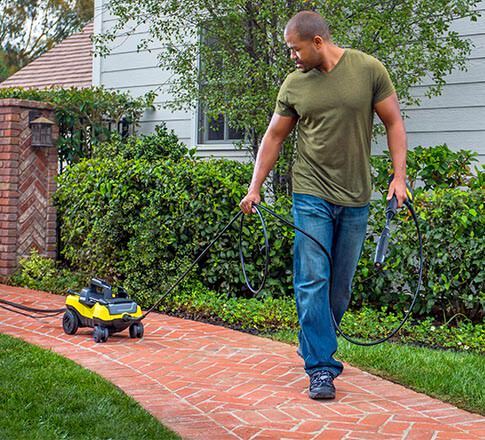 The Follow Me is the only 4-wheel electric pressure washer! It follows everywhere you want to clean. On-board Removable Detergent Tank has a wide mouth for easy filling. The Quick Connect System allows fast, easy set-up—simply push and click into place. The Vario Power Spray Wand lets you easily adjust the pressure from low to high. Patented DirtBlaster® Spray Wand delivers concentrated pressure for tougher cleaning jobs. Your order is backed by the Kärcher 30-Day Money-Back Guarantee. We guarantee you'll love your new Follow Me or we'll refund your money for the product, no questions asked. Pay only for shipping – return shipping is the responsibility of the consumer. If you decide to keep your Follow Me, you can be assured that your purchase is protected by our industry-leading Rapid Exchange warranty. To find out more about Rapid Exchange go to karcher.com/us. Or call 1-800-889-9605 to speak with a customer care specialist. Still have questions? Start here. *Where can I read more about the Handyman Magazine "Best in DIY" feature story? The K3 Follow Me was recognized as an Editor's Choice in the March 2015 edition of Family Handyman magazine in the feature story "Best in DIY". Weighing in at only 15 pounds, the writers designated the Follow Me a "Lightweight Champ." Pick up a copy of the March 2015 edition of the magazine for the full story. What type of garden hose should I use? There is no need to buy a special garden hose. A regular, good quality garden hose, preferably 5/8" and no more than 50 feet in length will deliver the necessary water flow. Most homes will already have one or more of these. Both the garden hose and the high pressure hose connections are designed to quickly attach with a simple push, avoiding the hassle of screw-on, threaded connections. What kind of water supply can I use? 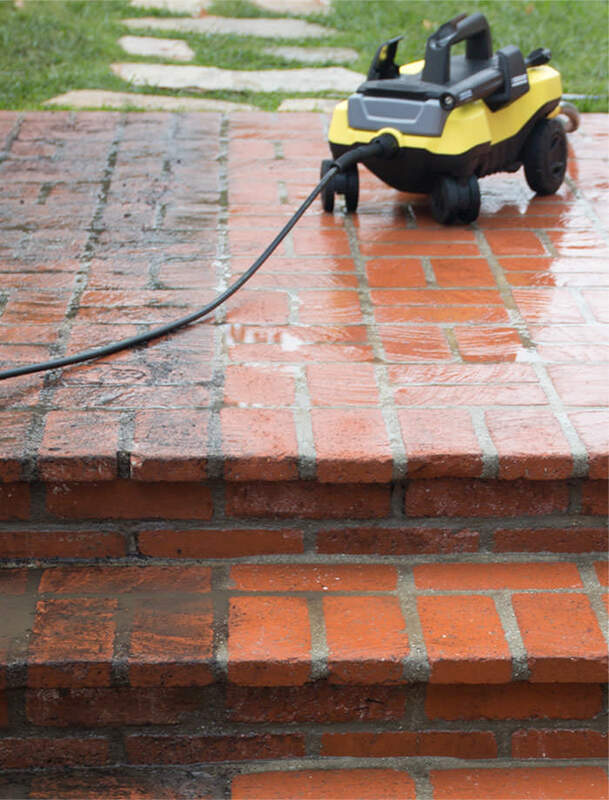 How safe is it to use an electric pressure washer? The Follow Me is CSA-certified for safety and is equipped with a GFCI (ground-fault circuit interrupter). Furthermore, it is double insulated, so it is actually designed to work in a wet environment! The amp draw is a house-friendly 13 amps. 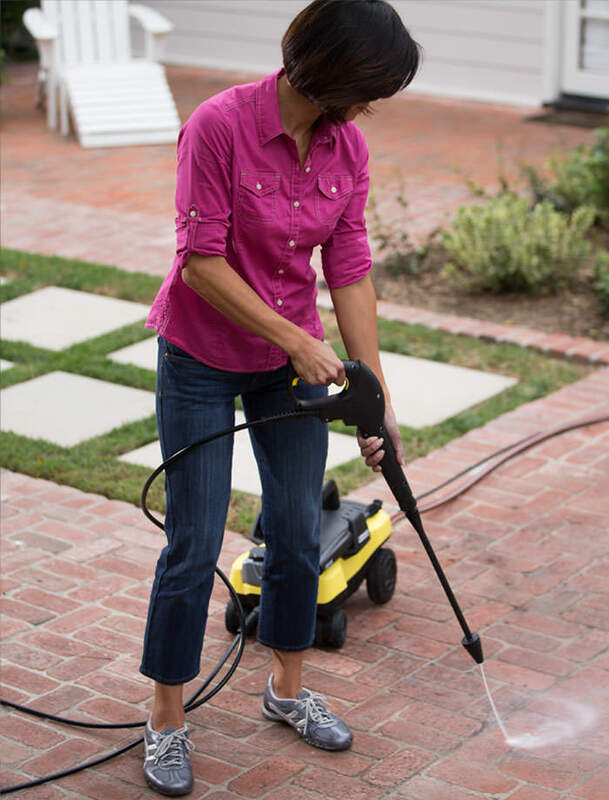 Millions of customers around the globe rely on our electric pressure washers to safely and easily clean and beautify their homes. What detergents can I use with the Follow Me? Can I also use bleach? 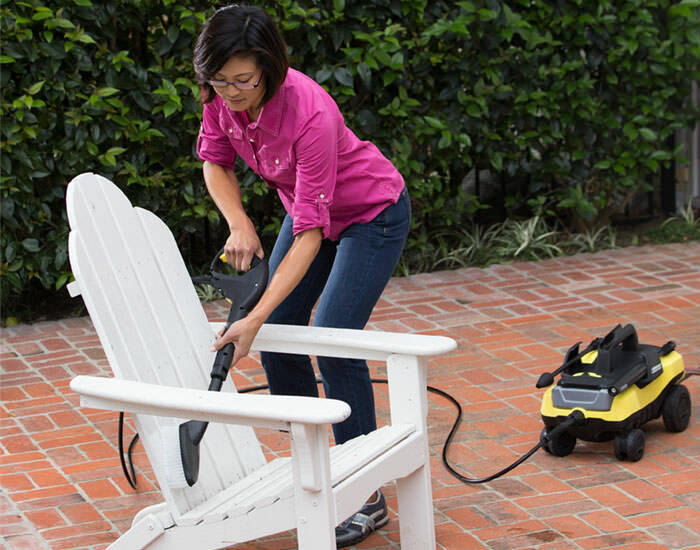 The Follow Me is designed to be used with or without pressure washer detergent. 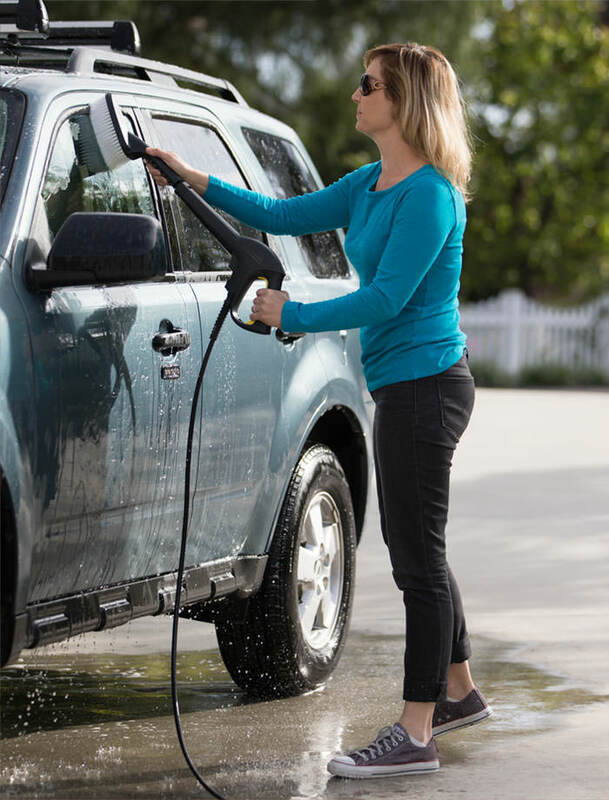 We recommend our concentrated, environmentally friendly Multipurpose and Vehicle Wash detergents that can be found in this offer, as well as select retail stores and online. 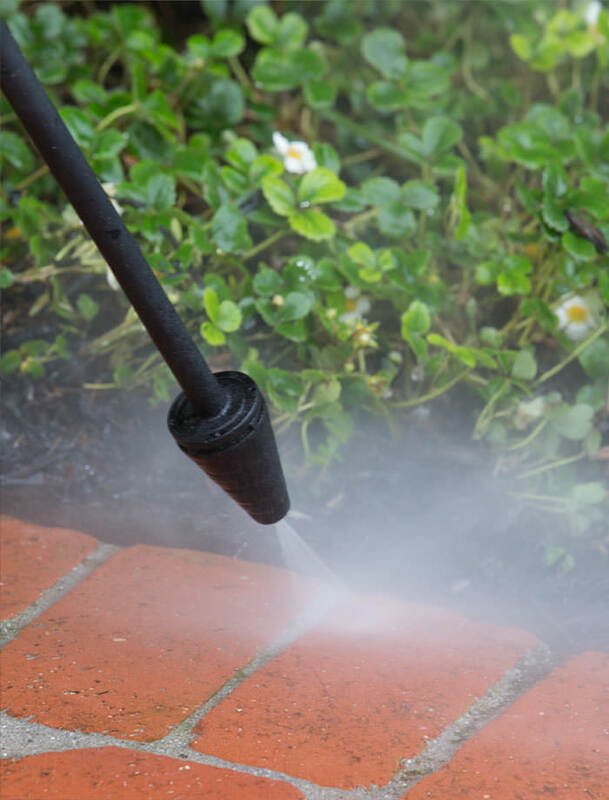 Corrosive chemicals such as bleach or chlorine can harm the pressure washer (and the environment) and should never be used. 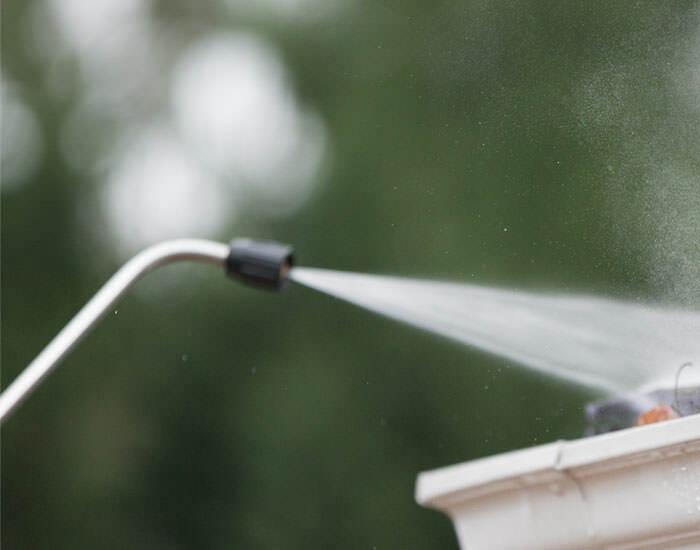 Can I use the pressure washer with hot water? This is a residential pressure washer designed to work with your home’s tap water. The water temperature should not exceed 104 degrees F.
While Kärcher does not recommend the use of extension cords, if one is necessary make sure it is outdoor rated, size 14 gauge or larger and no longer than 50 feet. The Follow Me is maintenance free. If you use the onboard detergent tank, you should rinse that after use. If you live in an area where temperatures fall below freezing, you should use the included Pump Guard before storing it for the winter. Where should I keep the Follow Me stored? 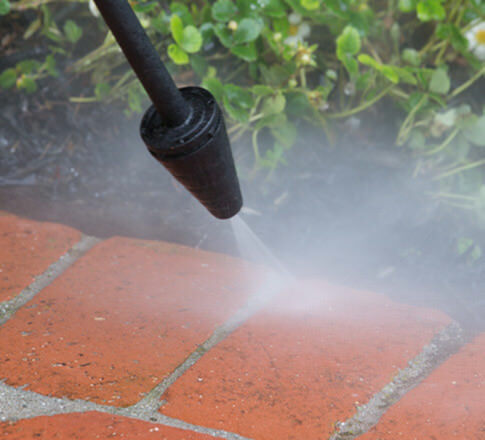 All pressure washers should be stored in an area that is protected from extreme cold or heat. During the winter months it is important to use a Pump Guard (included in this offer!) to protect the pump. This needs to be done only once at the beginning of the cold weather season. Where can I find accessories not available on this website, as well as other Kärcher products? What is the Rapid Exchange Program? We reserve the right to change the scope of supply in respect of appearance, technology, equipment and price. No claims can be derived from data or illustrations. Specifications subject to change without prior notice. Learn about our award-winning Window Vac with PowerSqueegee Technology. 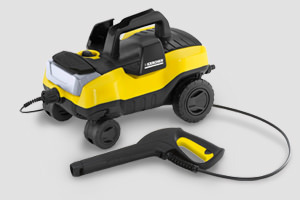 View all Kärcher products at karcher.com/us.